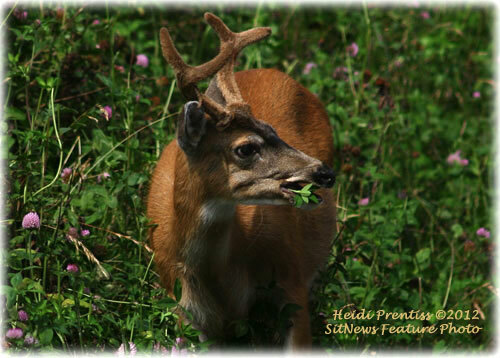 This deer was photographed while it was feasting on clover. Ketchikan: Baranovich: Alaska’s First ‘Industrialist By DAVE KIFFER - For the past 150 years of American rule, Alaska has been seen as a “land of opportunity” by many people. One of the first was Charles Vincent Baranovich, a European immigrant who came north chasing gold and decided to stay to trade and build a future. Baranovich is credited with starting one of the first trading posts in Southeast Alaska and the first copper mine. He was also one of the first to appreciate Alaska’s fishery resources. He arrived toward the end of Russian era and lived for more than a decade in “America.” His descendants still live in Southeast Alaska. Baranovich was born sometime in the late 1820s or early 1830s near Trieste, in Dalmatia, which was then part of the Austro-Hungarian Empire. It is now part of Italy and near the Slovenian border. Ketchikan mining historian John Bufvers wrote in 1952 that Baranovich came to America as a “youngster” and then took part in the California Gold Rush of 1849. 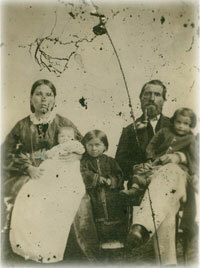 He later went north to British Columbia for the Fraser River Gold Rush in 1858 and the Cariboo rush of early 1860. The Tongass Historical Museum has a copy of an “agreement” between Major Malowauski and “Vincenzo” Baranovich to be the “co-partners in running the schooner “Langley” and freighting “the same” from the Port of Victoria to Ports elsewhere.” That agreement was signed in Victoria on Sept. 28, 1861. By 1865, he was in the Kasaan area and in 1867 he staked the first copper mine in Alaska, the Copper Queen. Alaskan historian Pat Roppel surmises that Baranovich – who was referred to as “The Slav” or “The Austrian” - probably entered Russian America by canoe down the Stikine from the Canadian gold fields. “There must be a fascinating but untold story surrounding the fact that this wandering prospector was able to secure one of (only) twenty-one coveted Russian American Company trading permits granted in 1865,” Roppel wrote in a 1970 edition of the New Alaskan magazine. Ketchikan: Serious Concerns Raised With Ketchikan School District's Compliance with Indian Education Act By MARY KAUFFMAN, SitNews - Concerns have been raised that the Ketchikan Gateway Borough School District is not in compliance with the Indian Education Act which provides Title VII funds to the school district. Ketchikan: Diabetes Prevention Program Graduates Second Class - Ketchikan Indian Community Diabetes Prevention Program (DPP) recently wrapped up a second 16 class session with nine participants. The class is funded through the Special Diabetes Program for Indians (SDPI) initially authorized by Congress in 1997. The program, which concentrates on treatment of those with diabetes and prevention for pre-diabetics, is set to expire in 2013 unless re-authorized before then. Ketchikan: UAS Ketchikan Honor Society Promoted to Two Star Chapter - The University of Alaska Southeast Ketchikan’s Alpha Rho Beta Chapter of Phi Theta Kappa International Honor Society (PTK) is proud to announce that it has fulfilled all requirements to be named a “Two Star Chapter”. Alaska: Arctic sea ice breaks lowest extent on record - The extent of the sea ice covering the Arctic Ocean has shrunk. According to scientists from NASA and the NASA-supported National Snow and Ice Data Center (NSIDC) in Boulder, Colo., the amount is the smallest size ever observed in the three decades since consistent satellite observations of the polar cap began. 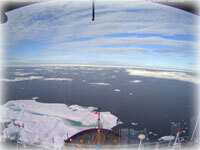 Scattered ice floes are seen from the bridge of the USCGC Healy on August 20, 2012 northwest of Barrow, Alaska. Arctic sea ice fell to its lowest daily extent in the satellite record on Sunday, August 26, 2012. Arctic sea ice cover melted to its lowest extent in the satellite record on August 26, 2012, breaking the previous record low observed in 2007. Sea ice extent fell to 4.10 million square kilometers (1.58 million square miles) on August 26, 2012. This was 70,000 square kilometers (27,000 square miles) below the September 18, 2007 daily extent of 4.17 million square kilometers (1.61 million square miles). "By itself it's just a number, and occasionally records are going to get set," NSIDC research scientist Walt Meier said about the new record. "But in the context of what's happened in the last several years and throughout the satellite record, it's an indication that the Arctic sea ice cover is fundamentally changing." According to NSIDC Director Mark Serreze, "The previous record, set in 2007, occurred because of near perfect summer weather for melting ice. Apart from one big storm in early August, weather patterns this year were unremarkable. The ice is so thin and weak now, it doesn't matter how the winds blow." "The Arctic used to be dominated by multiyear ice, or ice that stayed around for several years," Meier said. "Now it's becoming more of a seasonal ice cover and large areas are now prone to melting out in summer."